The World Health Organization estimates that there will be a shortage of nearly 13 million doctors over the course of the next two decades as our population ages and medical services become more and more necessary. Chinese research company Baidu has a solution for this problem, and it’s called Melody. 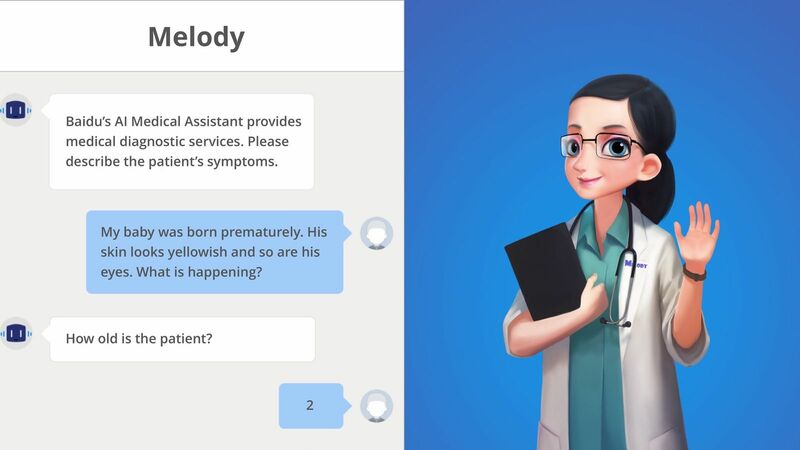 Melody is a robotic health care helper with a complex form of built-in artificial intelligence that is meant to serve as an aid for doctors when making diagnoses and a first reference for patients who are feeling ill. Creating a robot that helps with something as important and complicated as health care is no easy task. To build Melody’s digital brain, doctors pulled extensive amounts of information from both public and private medical archives and textbooks. They also pulled question-and-answer sections from medical websites to help Melody understand what questions patients might be asking and formulate appropriate ways to respond. Outside of medical knowledge, Melody is also designed to understand natural language and speech patterns. The difference between “my son has the flu” and “my son is feeling under the weather” may seem miniscule to us, but it is difficult for artificial intelligence to understand. Baidu’s computers store massive amounts of text and applied them to Melody’s artificial intelligence to help the robot understand nuances of language. Although Melody is an impressive and complicated robot—and will learn from its experiences and sharpening its diagnosis skills over time—it is not ready to diagnose or care for patients on its own. For now, Melody is meant to work more as an aid for doctors; it can help them keep their heads above water in a world that will be facing fewer and fewer health care professionals and more and more patients.